Elsa & Glenn Medeiros – Un Roman d’Amitié – Official Music Video. The duet was written by Robbie Buchanan, Diane Warren and Didier Barbelivien. It is a bilingual song that mixes English and French lyrics. 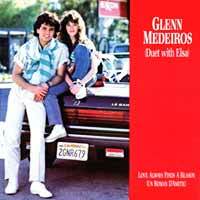 It was released as a third single from Medeiros’ second album Not Me (and the third single from Elsa Lunghini’s self-titled debut album). Un Roman d’Amitié (Friend You Give Me a Reason) was released in the summer of 1988 and hit number 1 spot in France, #9 in Belgium and #12 in the Netherlands.